$ aws rds describe-db-instances --db-instance-identifier rbtest | jq -r ".DBInstances.Endpoint.Address"
If you need to have SSL Enabled, get the bundled certificate as described in the Using SSL with RDS docs. Create the database account on the MySQL RDS instance as described from their docs. IAM handles the authentication via AWSAuthenticationPlugin, therefore we do not need to set passwords on the database. IAM Permissions to allow our user to authenticate to our RDS. 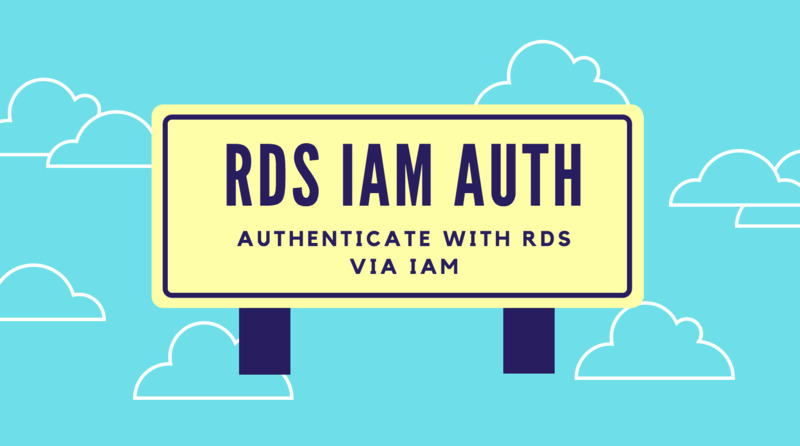 Now we need to create a IAM policy to allow our user to authenticate to our RDS Instance via IAM, which we will associate with our Users account. We need the AWS Account ID, the Database Identifier Resource ID, and the User Account that we created on MySQL. auth_token="$(aws --profile dbuser rds generate-db-auth-token --hostname $RDSHOST --port 3306 --username mydbaccount )"
echo "Expected: $0 aws_profile_name rds_endpoint_name rds_db_username"
echo "Usage: $0 prod dbname.eu-west-1.amazonaws.com dba"
auth_token="$($aws_bin --profile $aws_profile rds generate-db-auth-token --hostname $rds_hostname --port 3306 --username $rds_username )"
echo "Usage: $0 prod dbname.eu-west-1.amazonaws.com dba_user"
echo "Error: Make sure aws-cli and mysql client is installed"